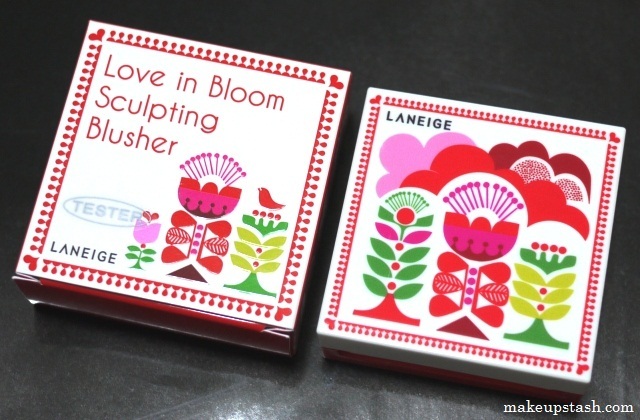 Laneige Love in Bloom Collection for Spring 2012 | Makeup Stash! 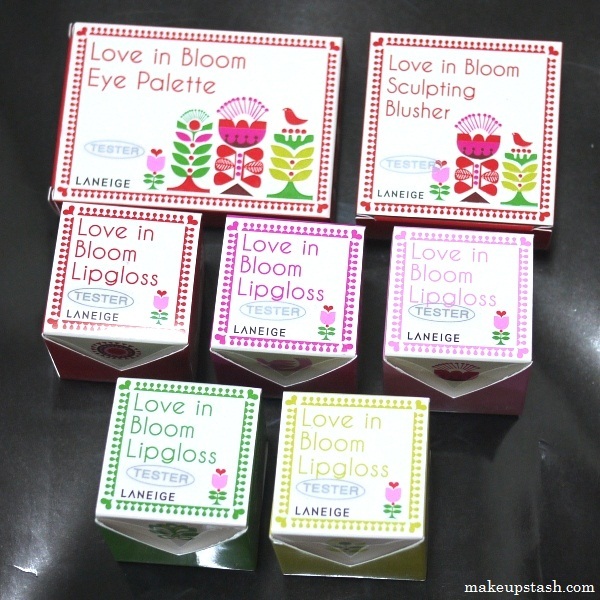 Here’s a look at Laneíge Love in Bloom, the Korean brand’s limited edition makeup collection for Spring 2012. The adorable print on the pots and palettes is the creation of Sanna Annuka, a Finnish-English illustrator and printmaker who draws inspiration from nature and folklore. So unique are her art pieces that they’ve been featured quite prominently in the music and fashion world – she has collaborated with Keane on the artwork of their second album and she has also worked with Marimekko. 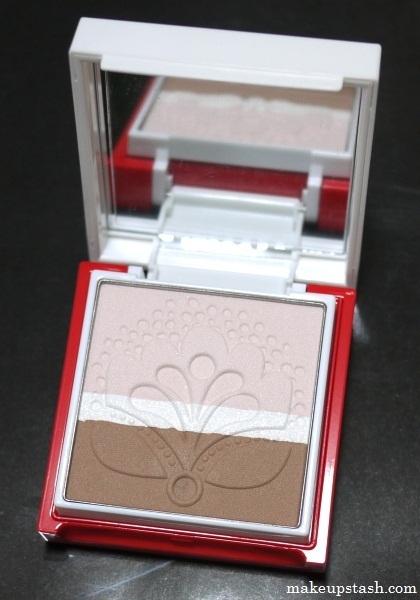 The quaint illustrations on these products are genteel and beautiful; a reflection of the makeup inside the cases. The flora motif with peonies and tulips, together with the vivid colours, actually remind me of matryoshka Russian dolls. 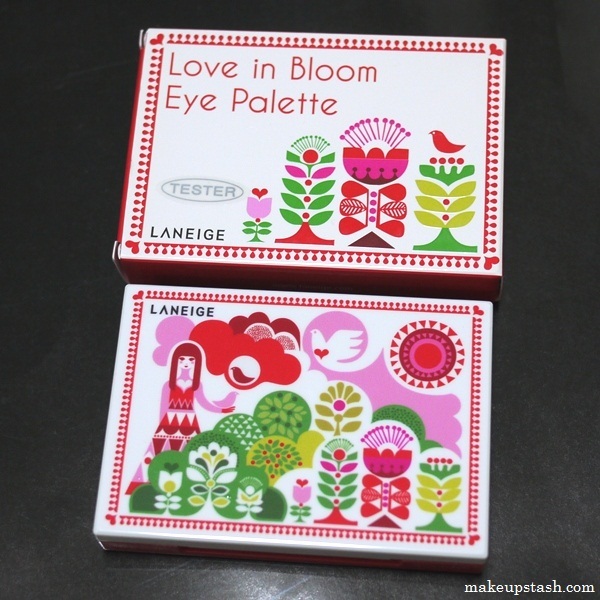 Love in Bloom Eye Palette (S$55) contains 9 shades. They didn’t look particularly appealing to me but their unassuming appearance belie their smoothness and blendability. I was surprised by how finely-milled the first two columns of pastels felt. 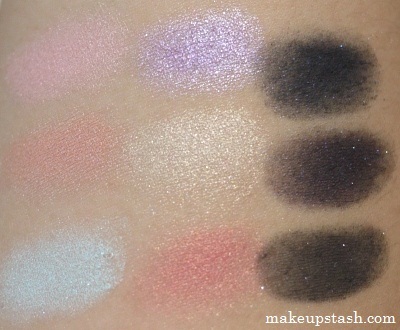 The last column of dark shades twinkle prettily but the base colours can be somewhat chalky; you will need an eyeshadow base with these, especially if you want the sparkles to show up. As a whole, though, I think this will appeal to people who are leery of strong/dark shades – the softness of tone in the first two columns makes this a very easy palette to work with – almost fool-proof – while the last column affords definition and smokey accents. 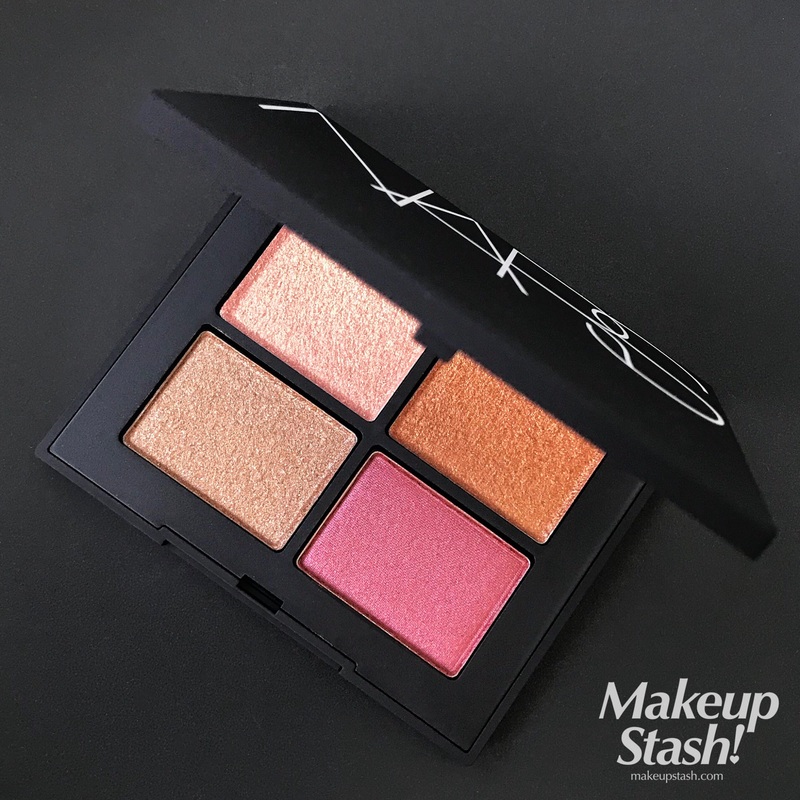 Beautifully-presented both on the inside and outside, Love in Bloom Sculpting Blusher (S$49) is a handy face compact to own. 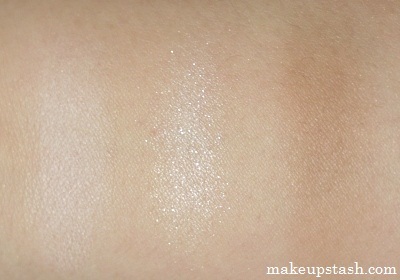 It comprises a contour powder, a soft illuminator and a shimmery highlighter that work well together. The colours are subtle, perfect for their purpose. 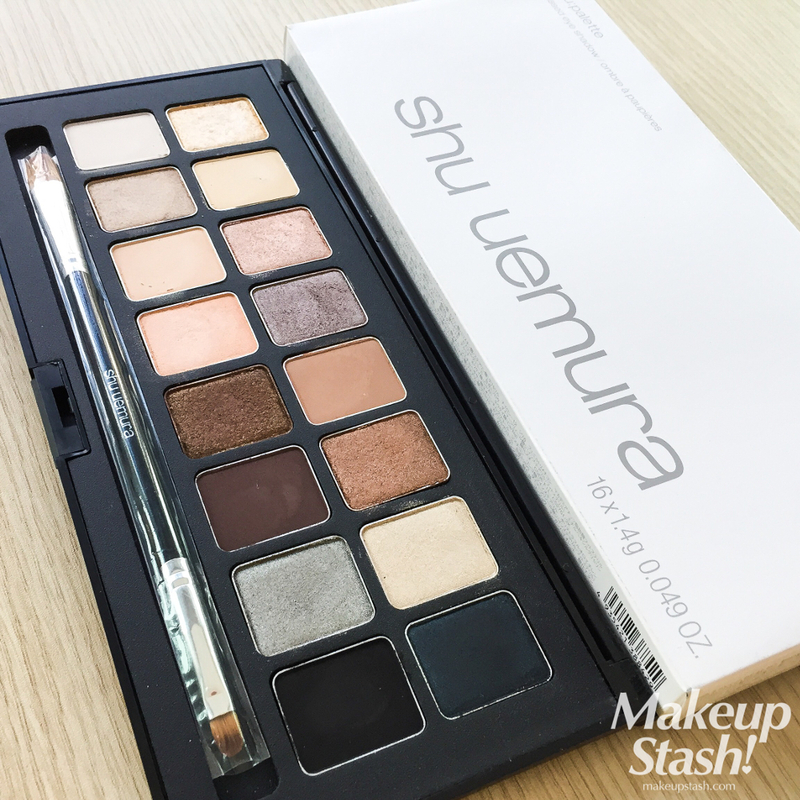 The highlighting strip could be a little wider but aside from this, this is a useful face palette for sculpting and contouring. 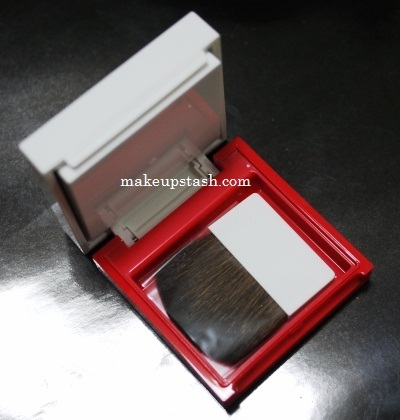 Like the Laneige Romantic Styling Blushers, this compact has a hidden compartment that houses a brush. 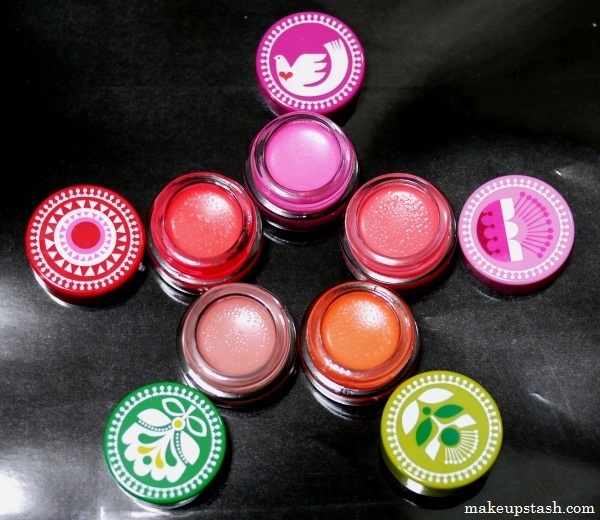 The lids of the five Love in Bloom Lipgloss (S$29) pots each feature a different graphic. 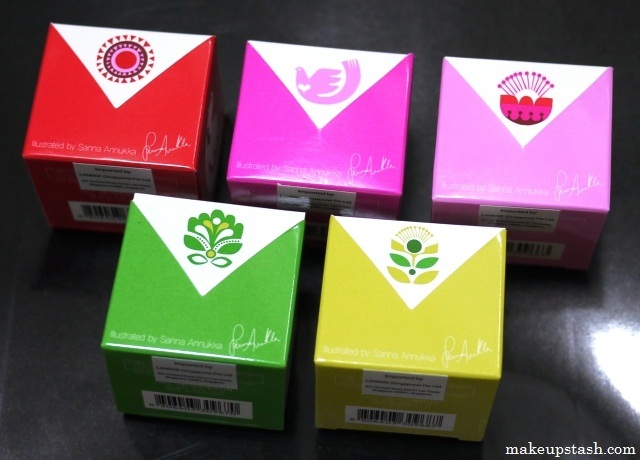 The illustration is repeated on the paper box packaging too. 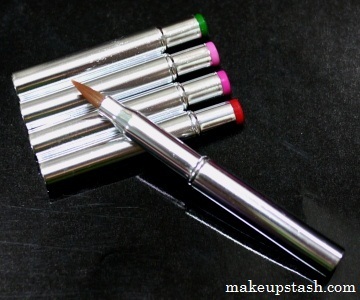 Each lipgloss is accompanied by a lip brush with a coloured tip reflecting the lid colour. The glosses are wearable shades that will appeal to many ladies. Of the five, only Floral Lavender contains shimmer. They all have a peach scent that’s thankfully non-cloying. 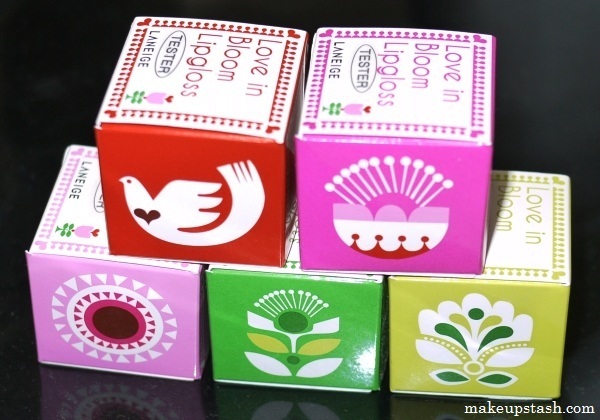 Don’t they look like building blocks? 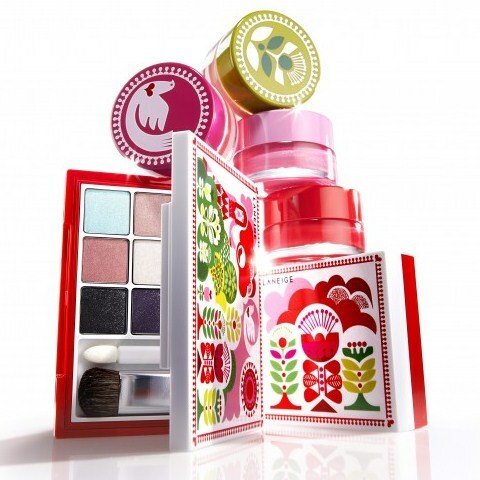 I think this is Laneige’s most striking collection to date, thanks to the charming illustrations in vivid colours. 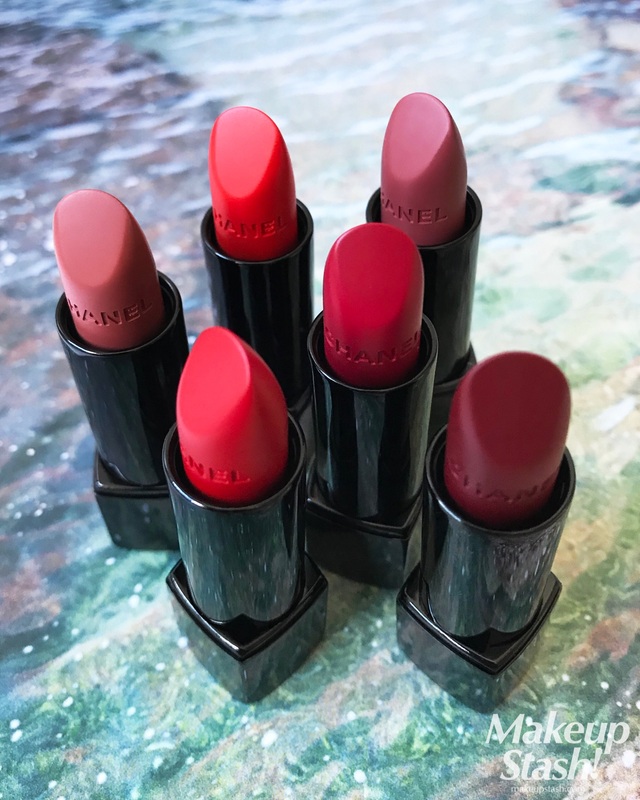 I love how the lipgloss pots have their own distinct graphics and how the red borders of the palettes, with a heart detail in every corner, set off the other colours. 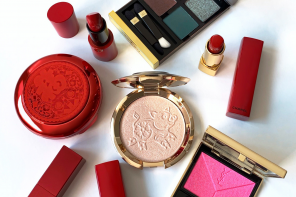 This heart-warming collection is truly makeup love in bloom! Hi Mag. 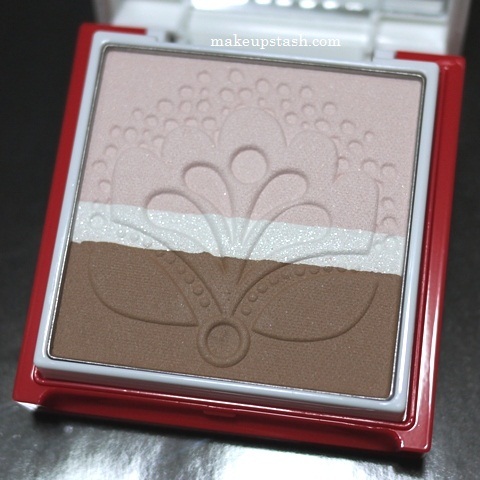 This is a nice departure from Laneige’s usual motifs. 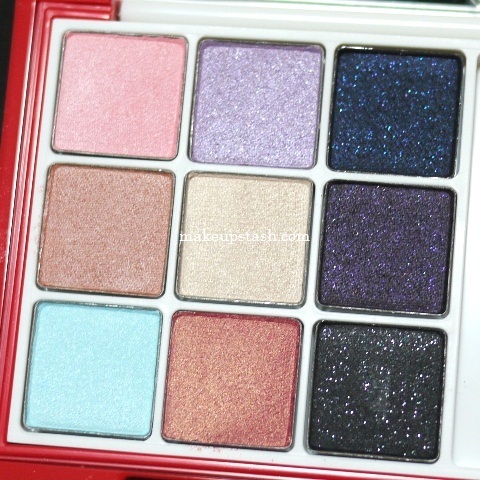 I especially like the cover of the Love in bloom eye palette! :) It was a nice touch to include a lip brush with each gloss pot. Most brands neglect this. I agree; the lipgloss brush is a lovely inclusion. Yes – it’s pulling out of here too. The company that carries it could’ve done so much with it, given the cute packaging. I hope you find it online! 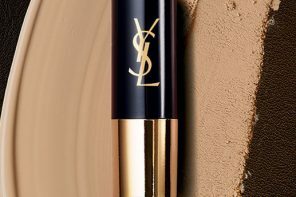 shaz here i found you on sarah’s blog, and i have liked your page on face book too , where can we find that laneige cosmetics in uk i love them hun, i live in uk. Thank you! Unfortunately, I’m not sure where you can purchase Laneige. Perhaps you could try Gmarket? Ooooooh I love Keane! 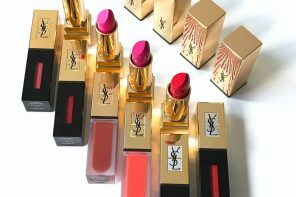 All the more reason to check these out, the lip glosses appeal to me the most! Where can you buy Laneige in Singapore??? I don’t think they are available here in Aus but I’ll be in Sg in a few weeks!